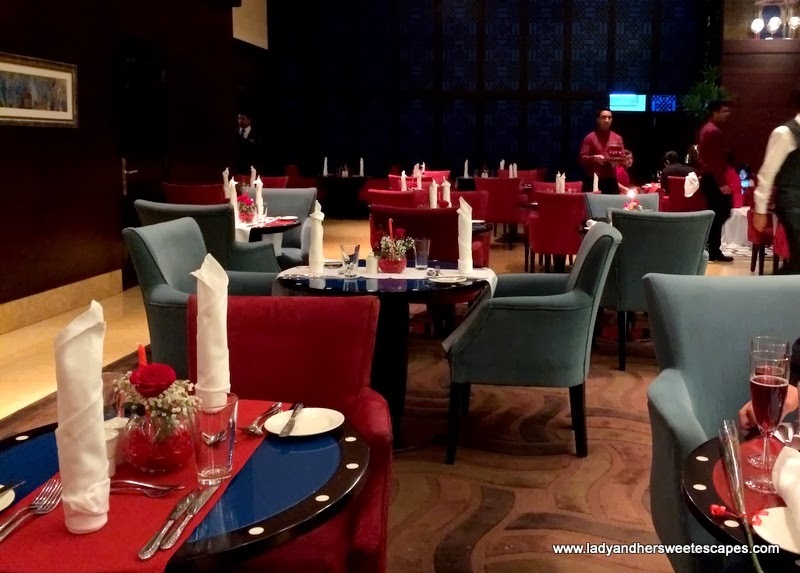 On the evening of February 14, Ed and I went on a date at Arabesque Cafe; a lovely restaurant known for Arabian home-style cooking, continental cuisine and Theme Nights in Arjaan by Rotana. Actually, I had no intentions to blog about our dinner. I even left the big camera at home. Since I have always been blogging about our date nights, I wanted to spare Valentines Day this year. All I wanted was to celebrate LOVE. But then, the moment we arrived in Arjaan at Dubai Media City, I changed my mind! 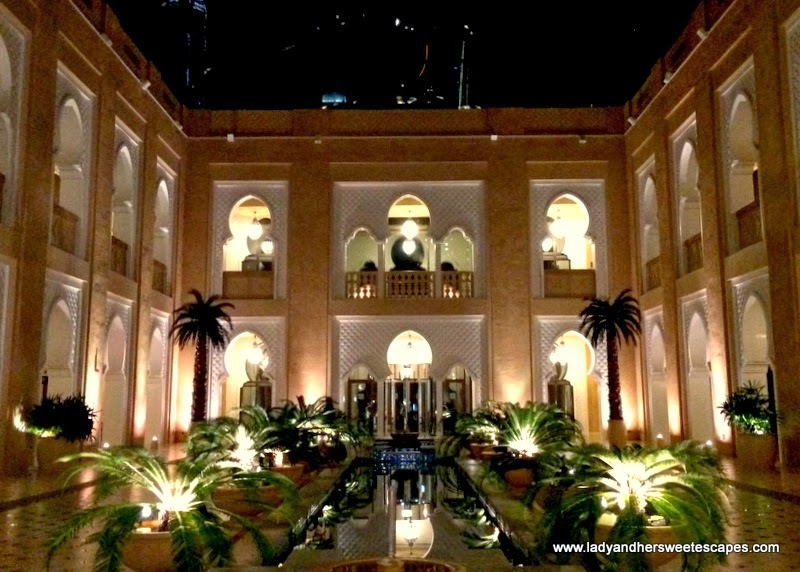 The hotel is too gorgeous and Arabesque Cafe is too fantastic not to share! So, I ended taking a few snaps with my trusted iPhone, and now sharing the grainy, low-quality photos on this post. Arabesque Cafe had the perfect Valentines look. Each table was topped with a lovely rose and candle centerpiece that matches the plush lounge dining chairs. As the restaurant is not that huge, I found it suitable for intimate occasions. 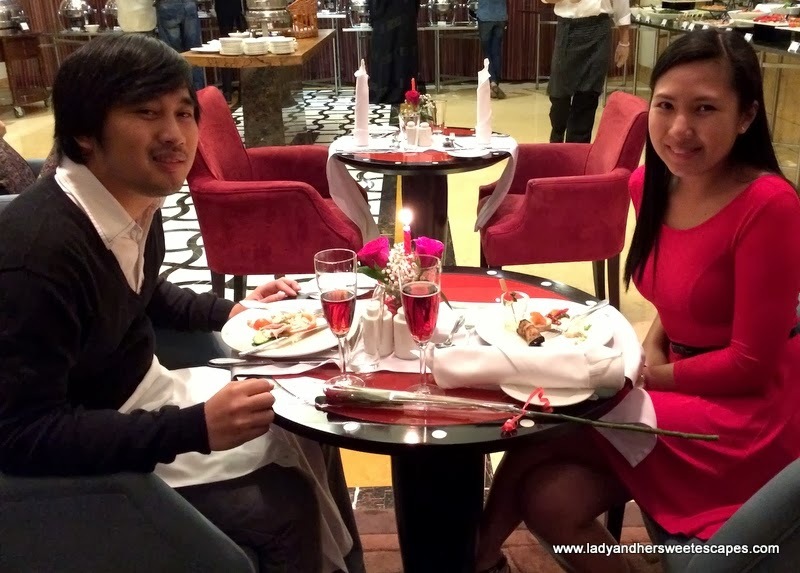 Along with the romantic ambiance is a comfortable atmosphere which I truly love! The Valentine's dinner at Arabesque Cafe was one of the cheapest offers that we found online, so I told my husband not to expect too much. I completely forgot that it is a Rotana restaurant. I guess you all know how perfect Rotana hotels and restaurants are; most are budget-friendly, but still beaming with exceptional service! 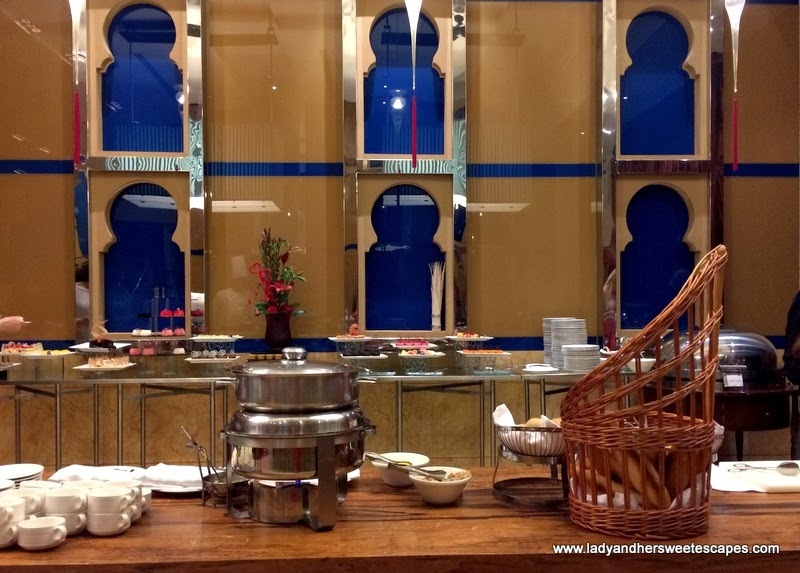 It's no surprise that we enjoyed Arabesque Cafe's splendid buffet. Our Valentines celebration started with a creamy carrot soup, followed by a widespread selection of salads and starters. I personally love the Thai Beef Salad and the cherry tomato with mozzarella skewers. 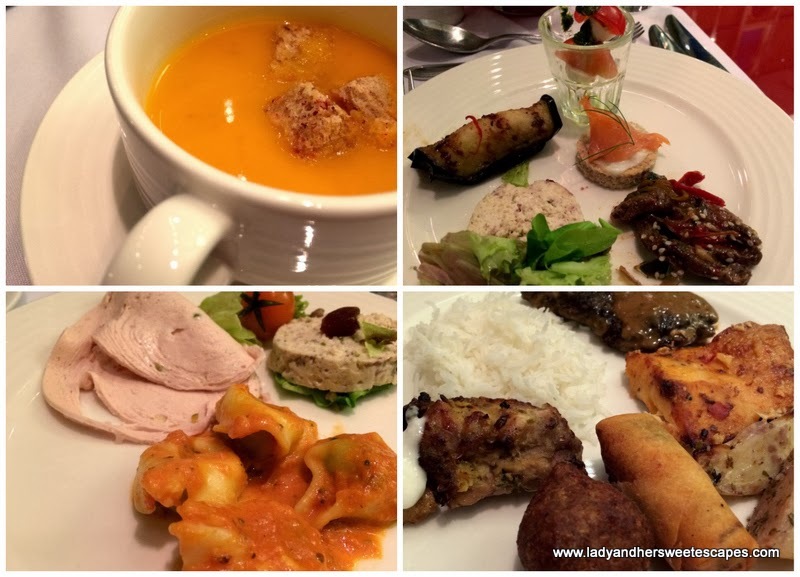 Then, we filled our plates with delicious main dishes. The beef tenderloin with pepper sauce and ravioli pasta were such a hit. Lastly, we indulged in heart-shaped cakes and pastries; a perfect way to cap off Valentine's Day! 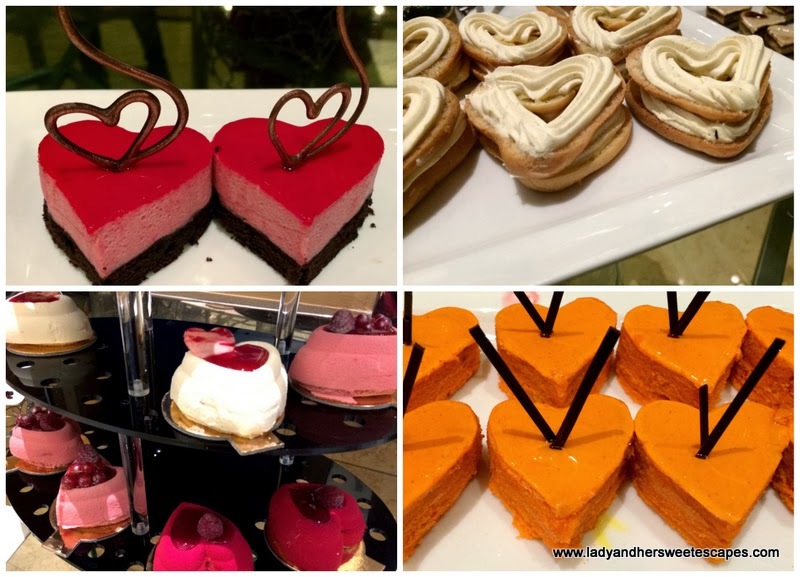 All I need is love... and these delightful heart-shaped desserts! You can enjoy Arabesque Cafe's sumptuous buffet on their Friday Brunch and Theme Nights for only 109AED/ person. For more information, please check the official website of Arjaan by Rotana here.